Register early as class capacity is limited! 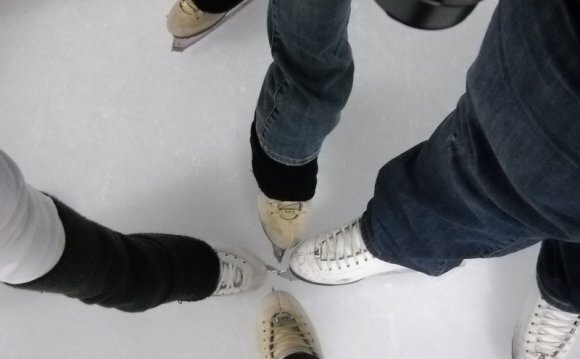 Learn-to-Skate participants are divided into small groups according to skating ability and age. Skaters are evaluated throughout the session and badges are awarded as each level is mastered. For Snowplow Sam Levels 1-3 the Instructor Skater ration will never exceed 5:1 to maximize the learning potential in every class. For all other group classes the ratio will never exceed 10:1. Class levels, session times, and pricing are listed below. Seven free public admissions for public skate sessions in the Ice Hall to be used during the Learn to Skate Session (If skaters require the use of rental skates during public sessions they must pay the $3.00 rental fee. Public admissions may be used through Sunday the week the session ends and may not be used after this time.